Woodworm is a generic term used to describe any damage from wood-boring insects. The most commonly found wood-boring beetle is the Common Furniture Beetle Anobium Punctatum. During its larval stage, the beetle tunnels into softwood timbers, causing structural damage and eventual failure. There are other less common – but equally destructive – wood-boring insects in the United Kingdom, which can take hold in different situations, depending on the moisture content of the wood and the species of timber. Death Watch Beetle Xestobium Rufovillosum is a wood-boring beetle found almost exclusively in oak and therefore more abundant in older properties. In its larval stage, the Death Watch Beetle attacks the heartwood of the timber, so it may go unnoticed until considerable damage has been caused. 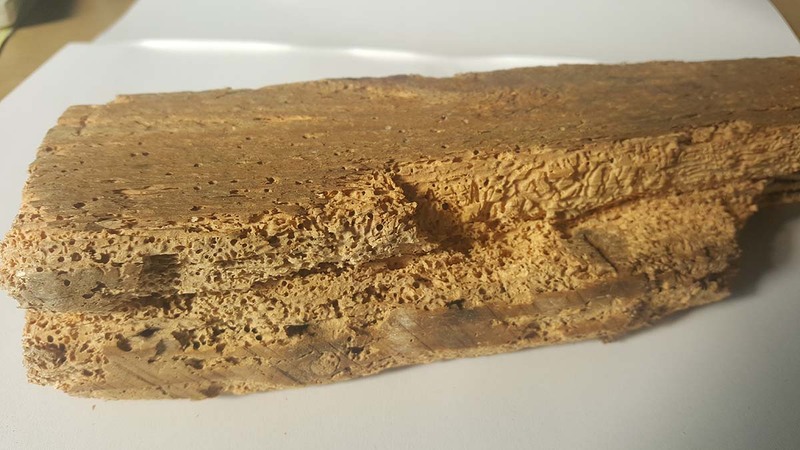 Our Surveyors have many years’ experience in identifying particular types of woodworm infestation, often by studying the shape and size of the flight holes created when the beetles emerge from the wood and observing the type of frass or dust found beneath the infested timbers. Once we have correctly identified the species of insect involved, we can then recommend the most appropriate and cost-effective treatment method and outline any remedial work that may be required on damaged timbers. Many suspected woodwork infestations are old and inactive or may be the result of a non-destructive beetle such as the Bark Boring Beetle Ernobius Mollis. Our surveyors are not paid on commission and therefore do not have an incentive to recommend remedial works if treatment is not necessary. Preservative application is any recommended where absolutely necessary and then only the latest low risk chemical will be specified for use, such as micro emulsion lignum treatments which are supported under the European Biocidal Regulations. Any heavily infested and weakened timbers will be cut out and carefully removed and new pre-treated timbers replaced. Our aim is to ensure that there is minimal disruption to the occupants and that re-occupancy is achieved quickly and safely.